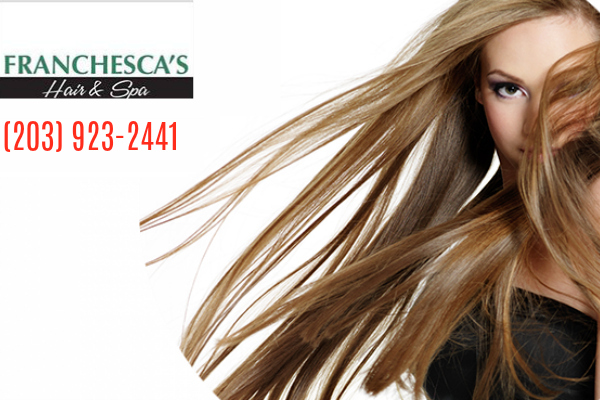 Franchesca’s Hair & Spa Fairfield CT is one of the few salons in the area who is often overlooked. We offer our clients a comfortable spa experience by utilizing the principles of touch therapy to deliver profound relaxation and targeted professional results. We offer a small and comfortable salon space where you’re feel as relaxed as you would at home while receiving personalized attention. We take pride in our services, industry knowledge, education, and training. Stop by today and pamper yourself with our signature facial, massage, and deep hair treatment. We offer highlights and color treatment as well. Our salonists are dedicated to detail and make sure your services are completed with the perfection that only true professionals can provide. Call us today and schedule your appointment. Franchesca’s Hair & Spa has been serving the Bridgeport community since 2013 with a mission to offer clients with a warm, comfortable, and home-like salon that provides professional results. We look forward to serving you next! Cirene has always wanted to work for herself and has been a salonist since 1969. She had already run a salon before, so in 2013, in a joint effort with her daughter Aline, they opened Franchesca’s Hair & Spa. With her daughter being an amazing Aesthetician, they are a perfect duo in the salon. Cirene enjoys helping people get the look they love and hopes your experience with us is a great one. Great place on the Fairfield / Bridgeport line that offers amazing services. Been coming here for years. Great little salon in town! Amazing salon! Love my color and blowout!! Cirene is just wonderful! My go to for the best Brazilian Blowouts in Fairfield!